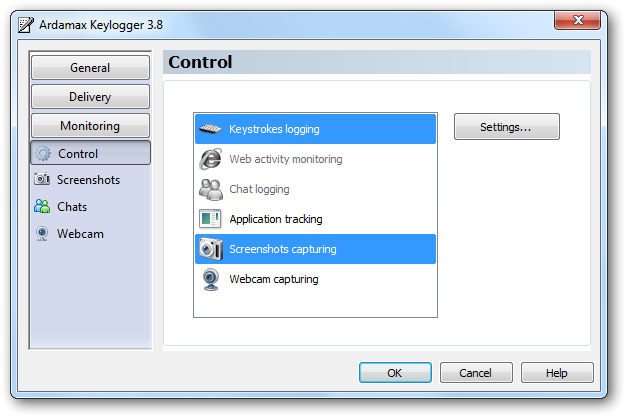 * Email log delivery - keylogger can send you recorded logs through e-mail delivery at set times - perfect for remote monitoring! * Invisible mode makes it absolutely invisible to anyone. 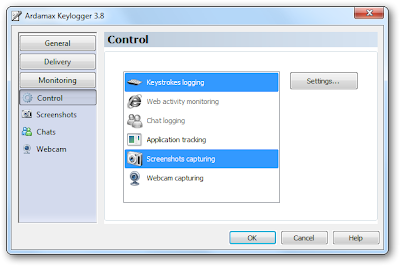 Ardamax Keylogger is not visible in the task bar, system tray, Windows 2000/XP/2003/Vista/Windows 7 Task Manager, process viewers (Process Explorer, WinTasks etc. ), Start Menu and Windows Startup list. 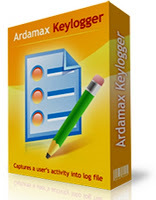 * Small size – Ardamax Keylogger is several times smaller than other programs with the same features. It has no additional modules and libraries, so its size is smaller and the performance is higher. 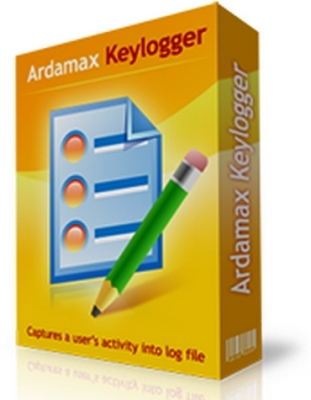 * Ardamax Keylogger fully supports Unicode characters which makes it possible to record keystrokes that include characters from Japanese, Chinese, Arabic and many other character sets.